And why not? They are on Camp on beautiful Union Island. 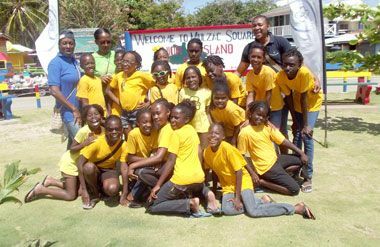 SEARCHLIGHT caught up with these happy campers at the Hugh Mulzac Square on Union Island. In keeping with the motto of the camp: âKnow your own,â the party was selected from various groups on the mainland, from as far north as Sandy Bay to Kingstown on the south. So far, they have visited practically all of the islands in our Southern Grenadines: Canouan, Mayreau, Palm Island, The Tobago Cays, Petit St Vincent. Of course, they have toured all of Union Island.